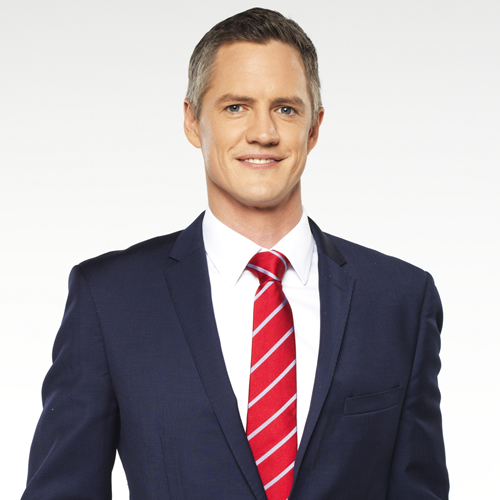 Tim McMillan was the weeknight news anchor for Channel Nine Perth from 2013 to December 2017. An experienced journalist, with degrees in Science from the University of Western Australia and Journalism from the Western Australian Academy of Performing Arts, Tim started his professional career as a producer at ABC 720 Perth. After his stint with ABC 720 he decided to gain some international experience by moving to London which he used as his European base for a few years. Returning to Australia in 2006, Tim headed to the East Coast, filing stories for ABC 774 Melbourne. A year later, Tim got his first job in front of the camera at Channel Nine Melbourne. Over the next four years, he won two Melbourne Press Club Quill Awards for Best TV News Report. Tim covered major events from the tragic Black Saturday bushfires to the Sydney Hobart Yacht Race, as well as several major court cases, including Australia’s longest ever terrorism trial, the Beaconsfield inquest and the prosecutions of high profile underworld figures such as Carl Williams and Tony Mokbel. Tim moved to Sydney in 2010 to continue reporting and covering major events for the Nine Network, including the final Azaria Chamberlain inquest. He also filled in reading news for national morning and afternoon bulletins as well as the Today Show. After being away from Perth for over ten years the decision to return to his home town and take up an anchor role was an easy one. In addition to reading the evening news, Tim helped launch Perth’s live and local morning news program, hosting Today Perth News in 2014 and 2015. He is also a regular contributor on Radio 6PR and ABC Radio in Perth. Tim was an important member of the Nine Network’s national team, filling in for Karl Stefanovic as Today Show host over the past two summers, as well as being part of the team covering major stories including Schappelle Corby’s release from Kerobokan Prison in Bali. When he’s not working, Tim is a family man and spends as much time at the beach with his young son as possible. He’s also a massive sports fan and loves cooking and reading. Tim is also a first class master of ceremonies who has hosted many prestigious corporate, government and sporting events.